Yes, haggis—minced sheep organs mixed with onions, oatmeal, and spices, and then boiled inside the sheep’s stomach—could be the latest victim of global warming. “Lung worm has been at a very low level and did not cause serious problems in sheep but with the changing climate and availability of the parasite it is becoming a problem,” said Sandy Clark, a veterinarian at the Scottish Agricultural College in Thurso. But haggis fans need-not worry. Scottish butchers are sourcing their sheep lungs from Irish farms instead, where Lung Worm has not been a problem. However, acquiring the lungs from farther away certainly will not help stop climate change, the root of the spread, according to Clark. Actually, a bigger source of the problem is the meat itself. For those who want to eat haggis and have their planet too, vegetarian versions are easy to prepare and even available canned and ready to serve. Photo Credit: Tessa Watson on Flickr under Creative Commons license. Oh my word, that is hideous! Hmmm… “Vegetarian haggis” is an oxymoron. 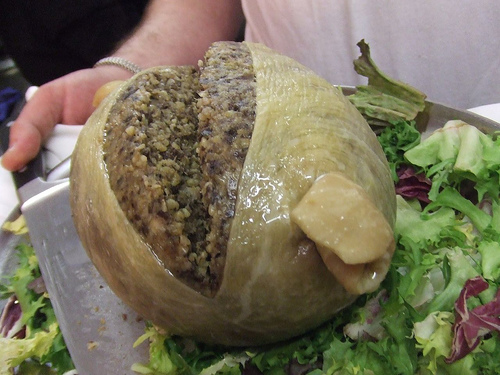 I hope I never live to see a “traditional” Burns’ Supper at which vegetarian haggis is served. I’d rather have read an article that addressed the issue in a less biased way. 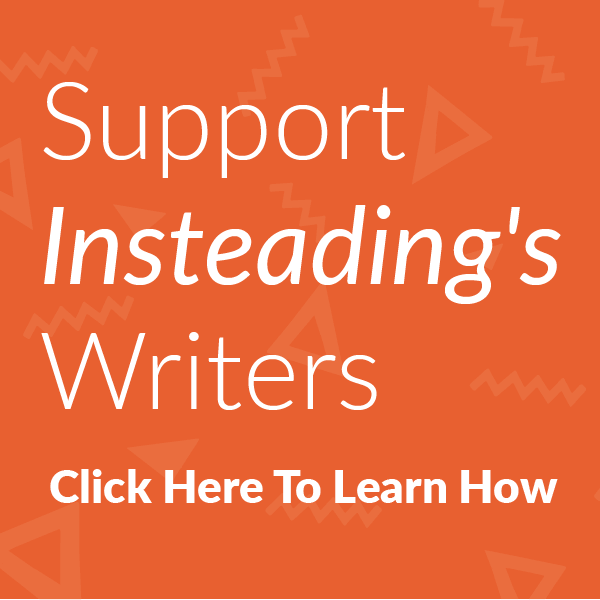 The author’s viewpoint is too enforced. “For those who want to eat haggis and have their planet too…” Really? That sounds too much like a PETA ad. There’s to much political jargon in this little article. Stick to the straight facts. But that is just what I think, and you wanted to know! I’m not a huge fan of haggis, despite being Scottish, but my older son and my husband enjoy it. However – to suggest vegetarian haggis is not necessarily a great idea. Until yesterday, I’d never even *heard* of anyone who could cope with vegetarian haggis. Even my husband, who will do anything rather than throw food out – put his veg haggis in the bin. Yesterday, I heard of a person who had enjoyed a meal with vegetarian haggis – that’s my first ever! Haggis is becoming more and more common in various guises – “sausage” rolls, stuffing for various meat dishes, pasties, etc. Again, I haven’t personally heard of any of these being vegetarian. It’s like suggesting a Lancashire Hotpot or a Cornish Pasty, or Irish Stew – without any meat. You know – that main ingredient. Vegetarian haggis? Along with scrapple, hot dogs, and spam, this has to be the last food I’d expect any vegetarian to get a craving for..
Haggis could vanish…Hmmmmm…That’s not a problem for me.